Now your little one can travel around with Paris in his pocket! 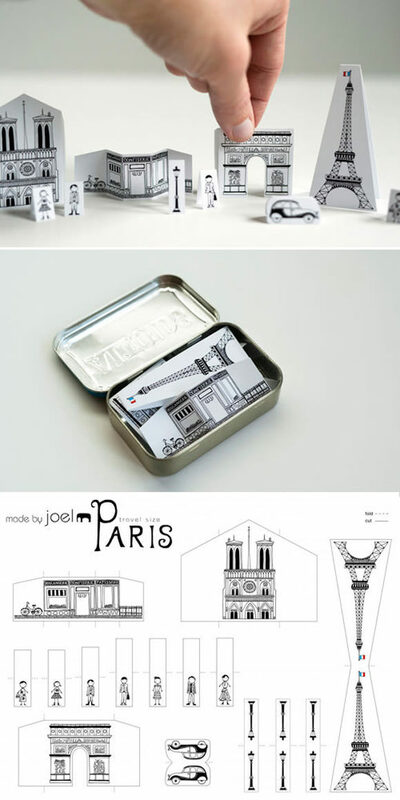 We’re totally digging this simple yet ingenious travel size Paper City Paris from Made by Joel. 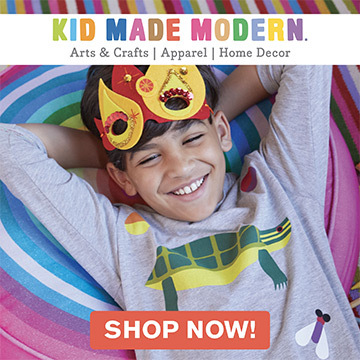 It’s the perfect quick & easy cure-all whenever your child gets the boredom blues just as you sit down to eat at your favorite restaurant. It only takes one sheet of paper to print out the entire city, perfectly sized to fit inside a mint tin after everything has been cut & folded. Head over to Made by Joel for the free printable! This is too cute, such a great way to introduce Paris to the little ones. Joel always makes the sweetest things for his kiddos. awwww~ it’s so cute Paris! You have great ideas! Toys, not just for kids. I too loved making little toys for my kids as they were growing up. And encouraging them to create their own! I LOVE this printable. Thank you so much for creating it. It’s just adorable!